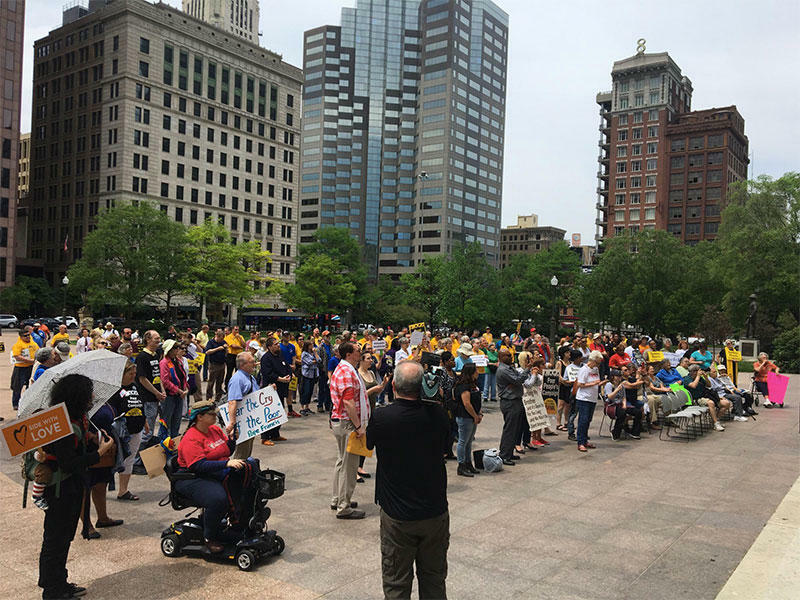 Activists for the Poor Peoples Campaign protested at the Ohio Statehouse on Tuesday, May 29, 2018. Protestors sat inside the Statehouse, singing, praying and talking. When the building closed and they were asked to leave, four wouldn’t. The Ohio Highway Patrol, which oversees Statehouse security, took down the names and contact information for the four. Then officers, in pairs, walked on both sides of the protestors, peacefully escorting them outside. 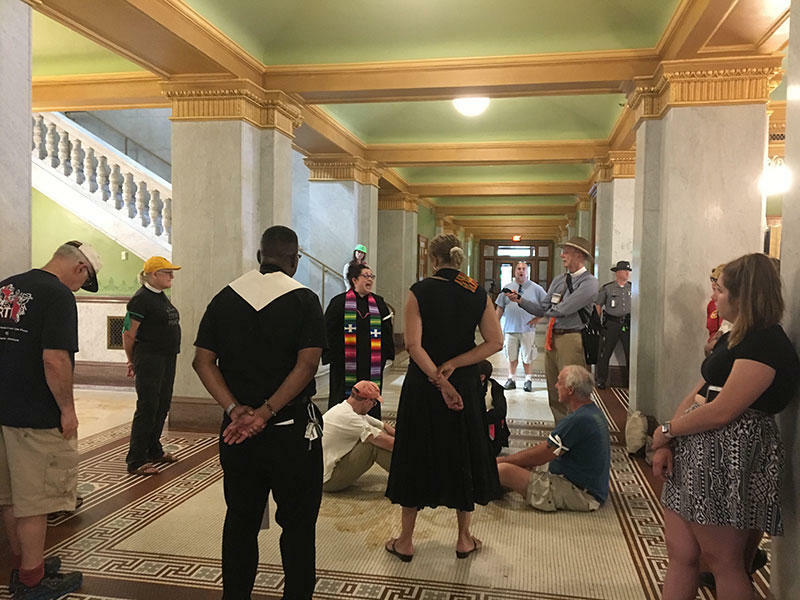 The Poor People’s protest is a 40-day long period of civil disobedience modeled after Dr. Martin Luther King Jr.’s campaign to make people aware of issues important to low income Ohioans. 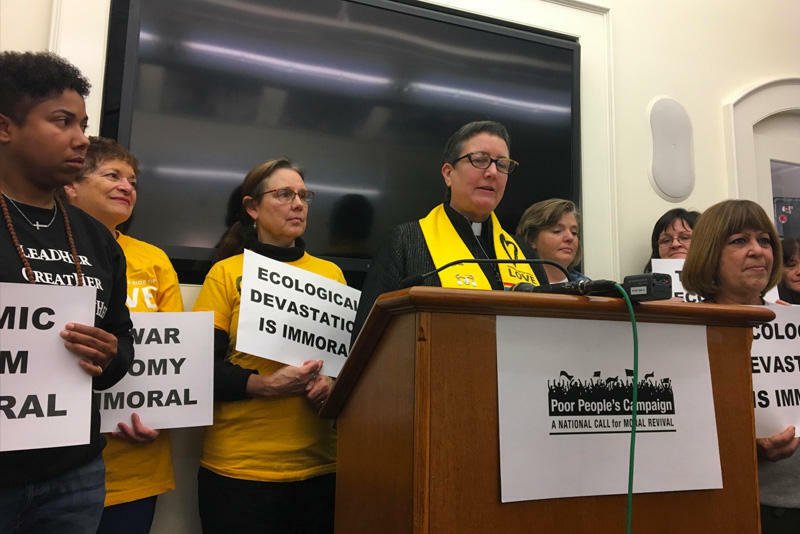 The nationwide movement calls for legislative changes like an end to gerrymandering and "right-to-work" laws, full funding for federal anti-poverty programs, changes in immigration laws, and bans on assault weapons. 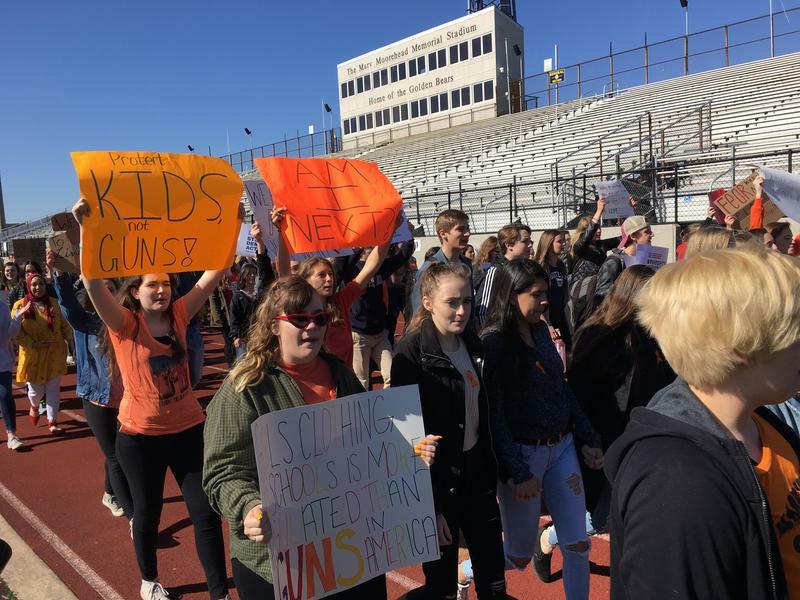 More than 200 students left class at 10 a.m. on Friday and marched around the track at Upper Arlington HighSschool, as part of a national walkout demanding gun policy changes. 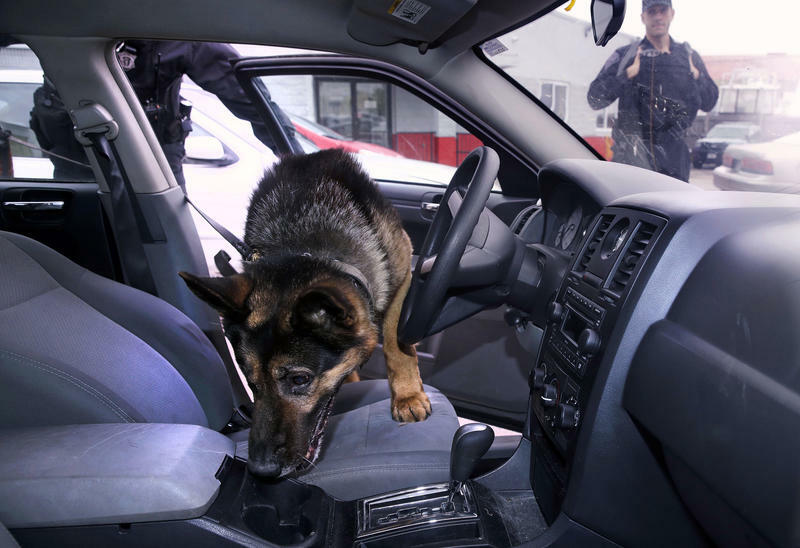 The Ohio State Highway Patrol uses drug-sniffing dogs on stops involving black drivers at a disproportionately higher rate than stops involving whites, according to records reviewed by the Associated Press. Black drivers account for 28 percent of the nearly 17,000 stops where dogs were used from 2013 to 2017.